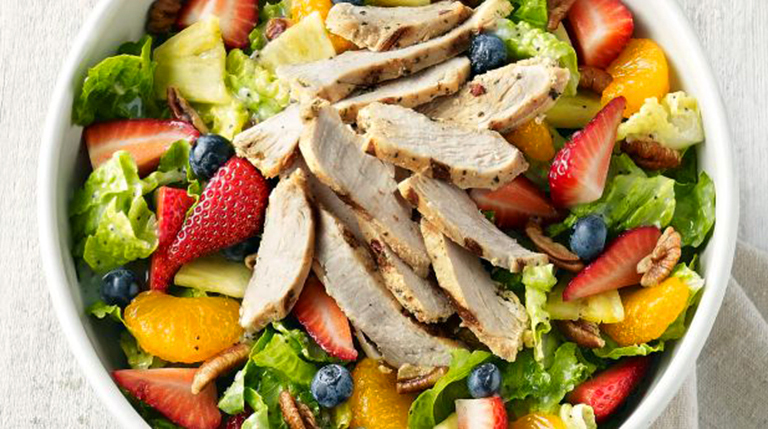 Fresh, classy and fast, Panera has the perfect meal for you! Bristol’s Panera has a warm, sophisticated and inviting atmosphere perfect for small get-togethers, work lunches, or a quick bite to eat. With fast and friendly service and a mouth-watering menu, Panera gives a classy taste to traditional fast food. Enjoy their freshly baked items in their bakery. All of their bread is made fresh to order with just the perfect amount of crisp and crunch to the crust. Try their array of artisan bread like asiago cheese focaccia or their specialty bread like their French Baguette which pairs nicely with soups, salads, and pasta! Panera’s bagels, sweets, and pastries will leave your mouth watering for more. Panera also offers an array of delicious and classy entrees including steamy soups, fresh salads, Italian pasta dishes, bold flatbreads and internationally inspired broth bowls. Fast food made classy, check out Panera’s catering menu or stop by today to get some delicious, fast and fresh food!